Did you know that you can now access Discovery Education resources from your iPad with their new iPad app/mobile login? No, don’t download the app. There is none. 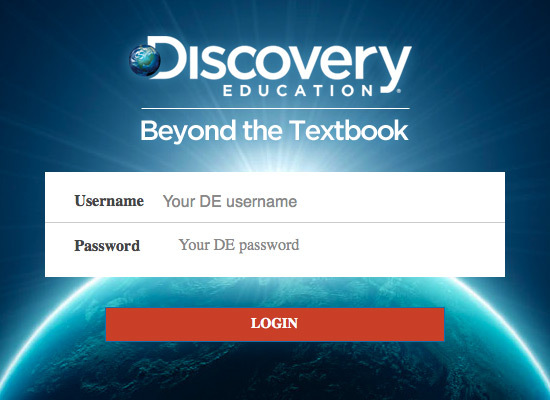 Just go to http://mobile.discoveryeducation.com on your iPad and log-in with your Discovery Education username and password. Email me if you don’t have it already. The iPad access works with educator and student accounts, giving you another way to use your classroom iPads with engaging curricular content. Downfall? You can’t access the Closed Captioning videos, as far as I can tell. Nevertheless, there is a lot your kids can observe and discuss. The only other way to use our subscription to Discovery Education is on a PC. You cannot preview the videos on a Mac, and you can install a video player, but you have to download each video to preview. Ugh@! Verdict for our community: Try the mobile version on your Macs and iPads. For CC videos, borrow a Dell from Room 220 to get the full version on http://www.discoveryeducation.com.